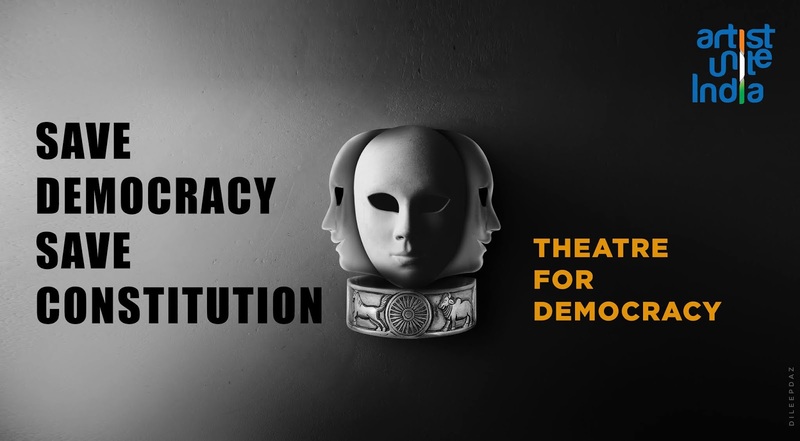 Save Democracy: Joint statement by theatre practitioners of India.. In an unprecedented move, More than 700 theatre artists from every corner of this country have joined hands to make an appeal to all of you to vote out the divisive politics from power. The joint statement in 12 languages (English, Hindi, Tamil, Bengali, Marathi, Malayalam, Kannada, Assamese, Telugu, Panjabi, Konkani,Urdu and Gujarati) and the names of the signatories are released on this site starting from 7pm, April 4th. Are you an artist? Like to endorse the statement?